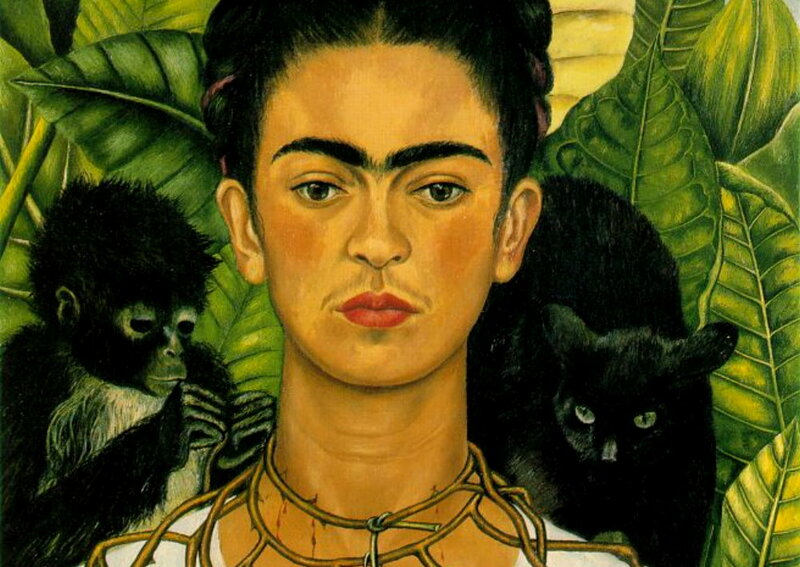 This week marks the 60th year since the passing of legendary Mexican painter Frida Kahlo. As an homage to this outstanding artist, more than 60 international artists contributed special works to Amsterdam’s upcoming group show “Myth & Muse”, curated by Go Gallery. Find out more about this great exhibition right here. On this occasion I created above portrait of Frida Kahlo. 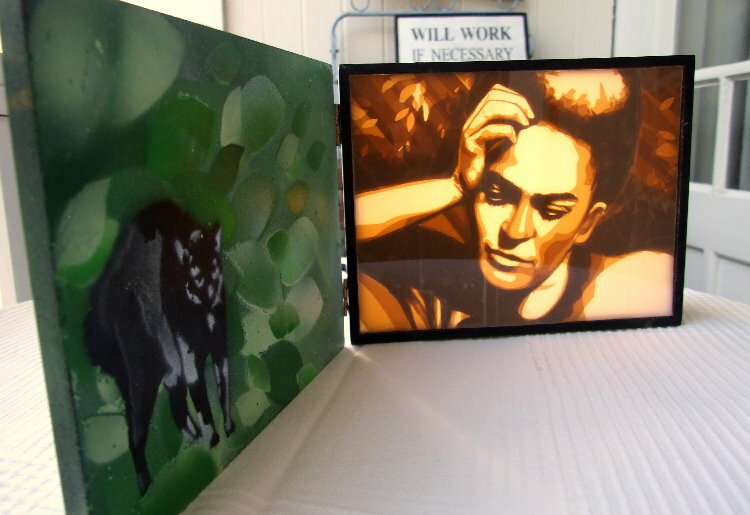 The tape artwork is displayed in a custom-made light box featuring some of Frida’s animal characters as stencil works on the inside and outside of the box. Five similar versions of this box will be sold through this website, another five pieces will be sold exclusively through Go Gallery. Artwork, box and adapter (matching your region) cost 270 Euros altogether. Shipping costs will be added to this price. This sale will be open for 24 hours starting on July 10th at 7 pm. (Amsterdam, GTM + 2) until July 11th. 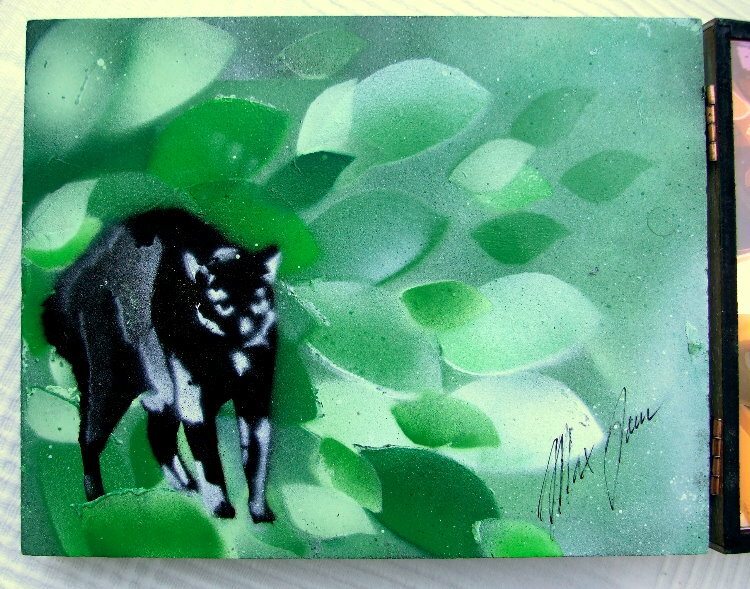 You can purchase by sending an email to buy@maxzorn.com. It’s a first come first serve basis. Only one inquiry per person please. 2. Increase your chances: This sale will be open from July 11th 7.00 pm until July 12that 7.00 pm. First come first serve. The faster you write me the higher your chances are to own an artwork. 3. Acted too fast? Don’t worry. I read all e-mails and get back to all winners. We clarify all details, and we seal the deal only when everything looks good on both sides. 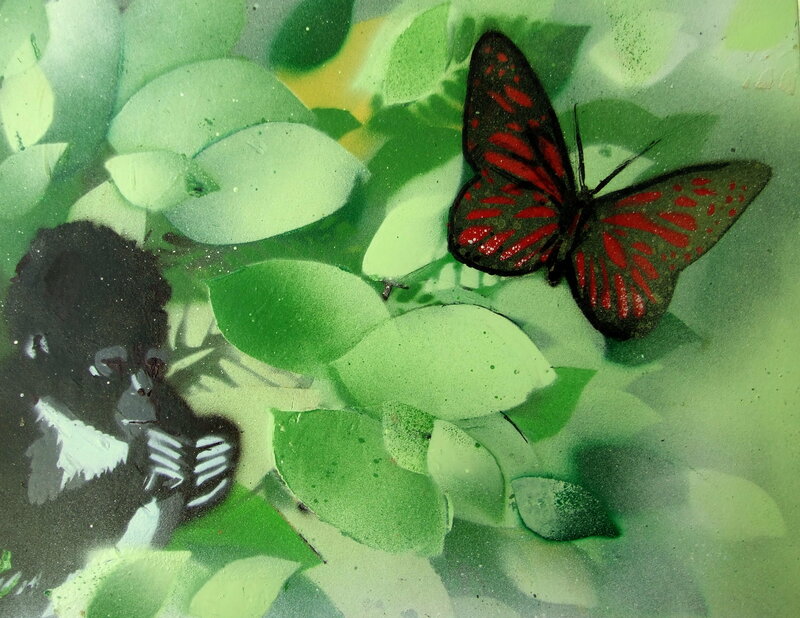 The artwork is entire made of brown packing tape, applied in layers on acrylic glass and cut with a sharp scalpel. Feel free to watch on of the making-of-videos to understand the process. 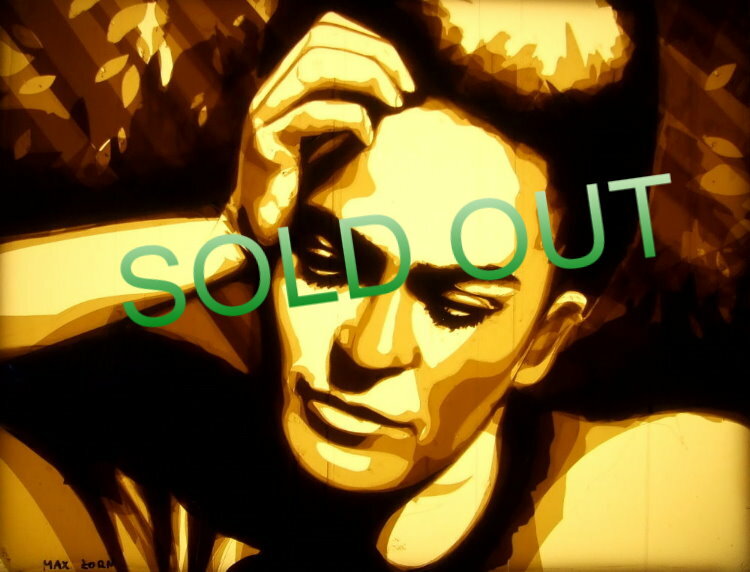 The artwork comes in a size of 20,5 x 18,5 cm and is already framed in a special light box. 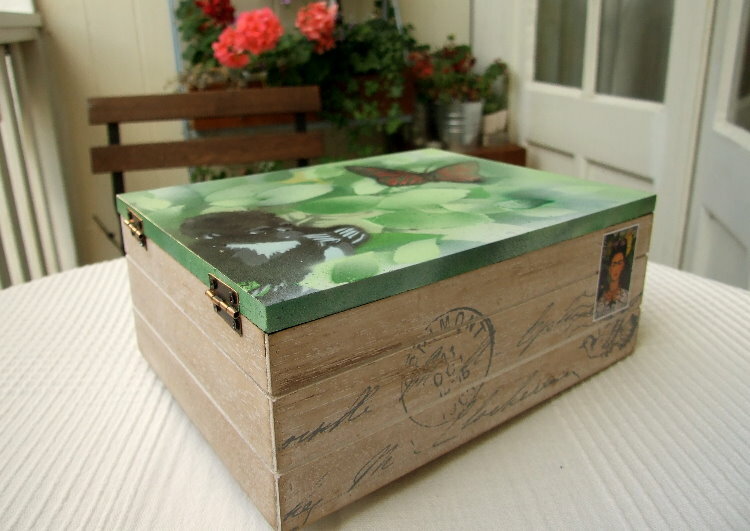 Each box is handmade and shows two separate artworks on the inside and outside of the lid. Since each box is uniquely done, the motifs all differ slightly from below photo. All boxes operate with low voltage LED lighting and include an adapter matching your region. The lid can easily be switched around or taken off completely. 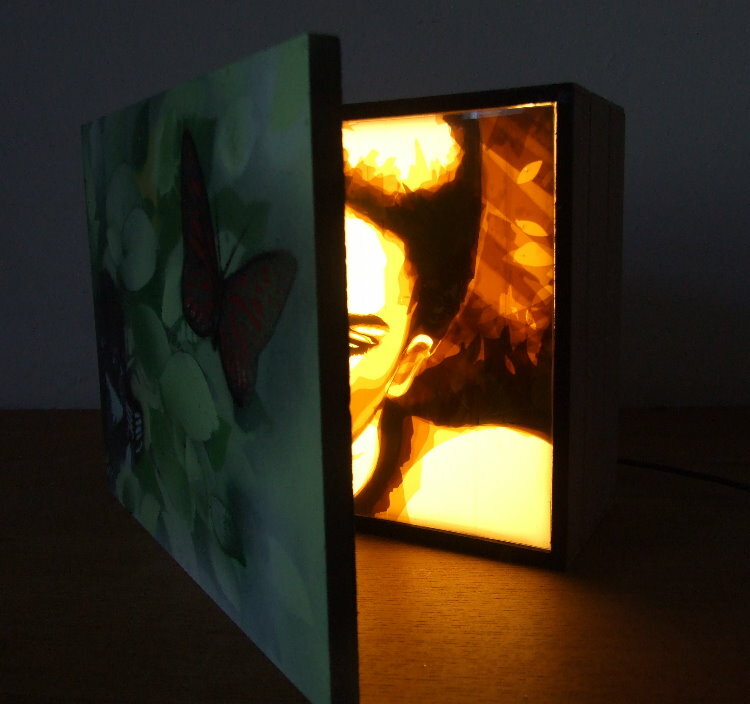 The box itself can stand alone or alternatively be hung on a wall. There are 15 similar boxes, of which 10 will be for sale (5 through this website, 5 through Go Gallery). All 15 artworks (and boxes) are of course handmade, unique and signed. Although I try to have the artworks look alike, each one has its own character and differs slightly from the others. 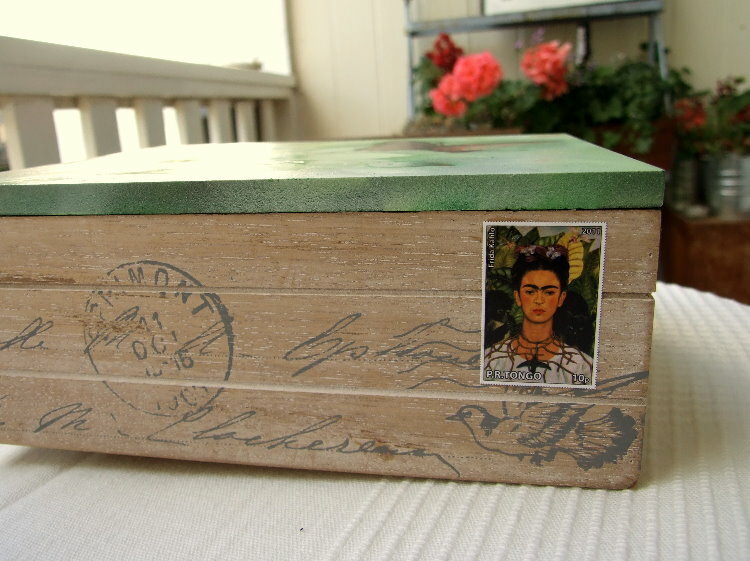 Instead of numbers 15 different Frida Kahlo-stamps on the bottom part of the box function as a numeration.